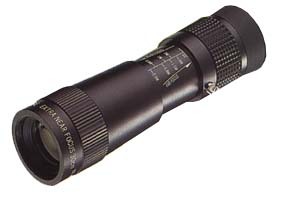 An illuminated zoom microscope with 30x magnification power. Focus can be adjusted by turning the wheel. An illuminated zoom microscope with 50x magnification power. Focus can be adjusted by turning the wheel. Supplied in vinyl case. Requires 2 x AA batteries (not included). This simple 30x pocket microscope set comes with a mini-flashlight. Complete set fits in a hinged storage box. Flashlight uses two AAA batteries (not included). Extra bulb included. With close focus plus the option of conversion to a microscope using the accessory 'Microstand', the Gallery scope is an excellent tool for macro study of wildlife as well as a high quality close focus field monocular. Supplied in a soft pouch with a 30 year warrantee.